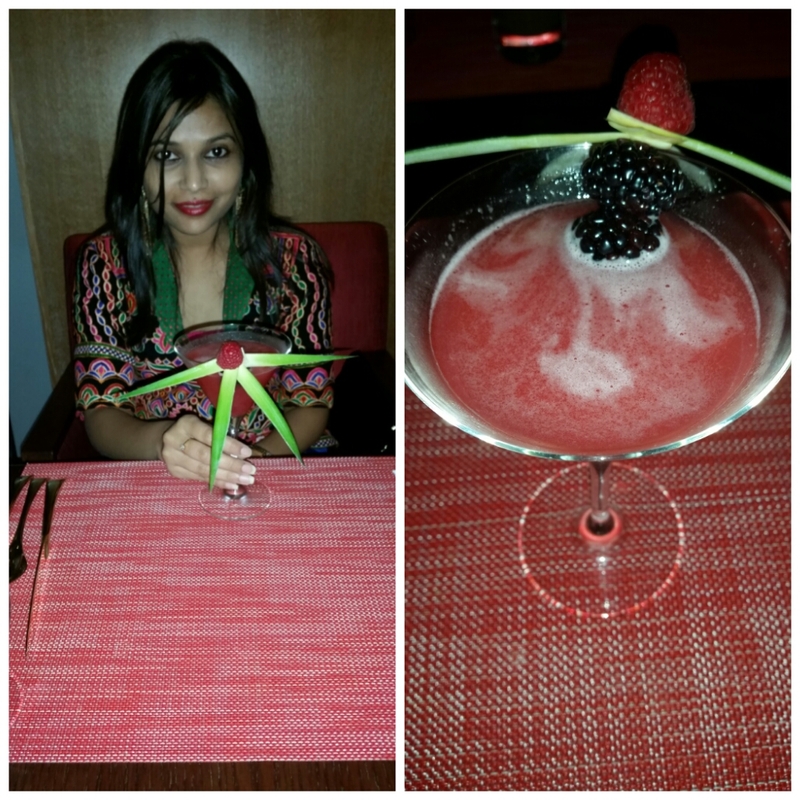 Food Fest at Ananta, Oberoi Dubai. 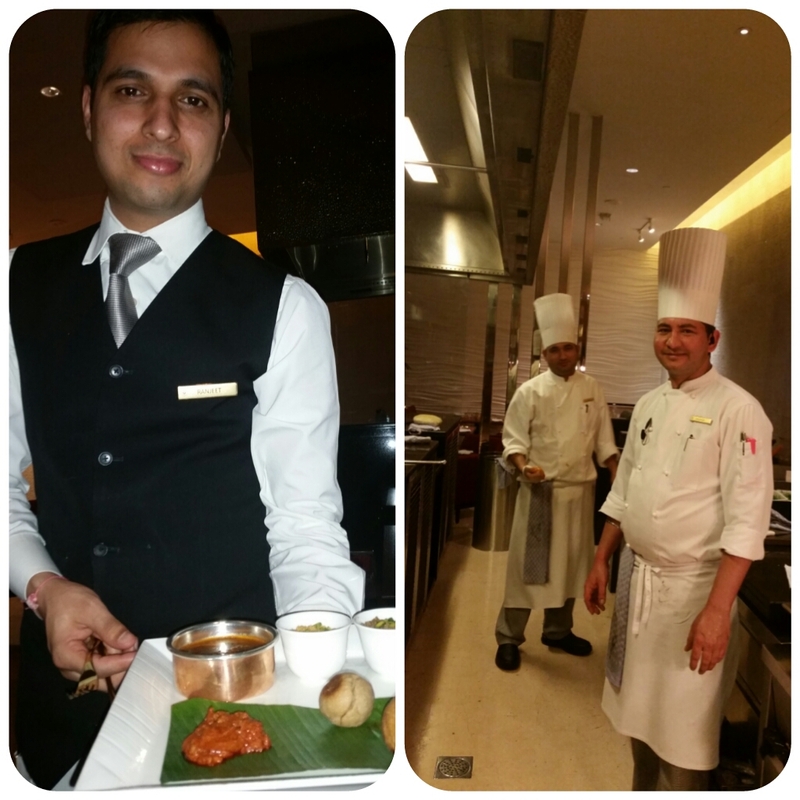 “Ananta” at Oberoi is undoubtedly one of Dubai’s Top Fine Dining Restaurant. And guess what? They are running a Rajasthan Food Festival currently. There is no way a true “Rajashthani” like me could have missed it. 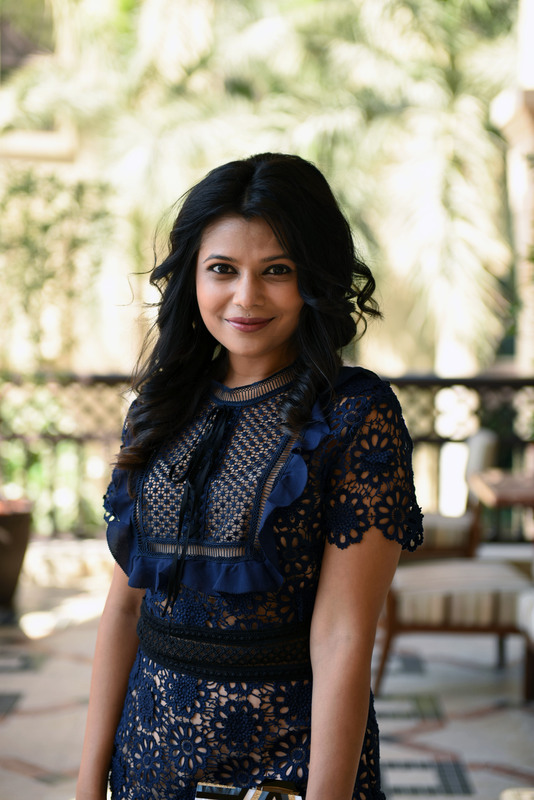 My historically and culturally rich state has a great variety of dishes to offer and I was dying to savor the Rajasthani cuisine. 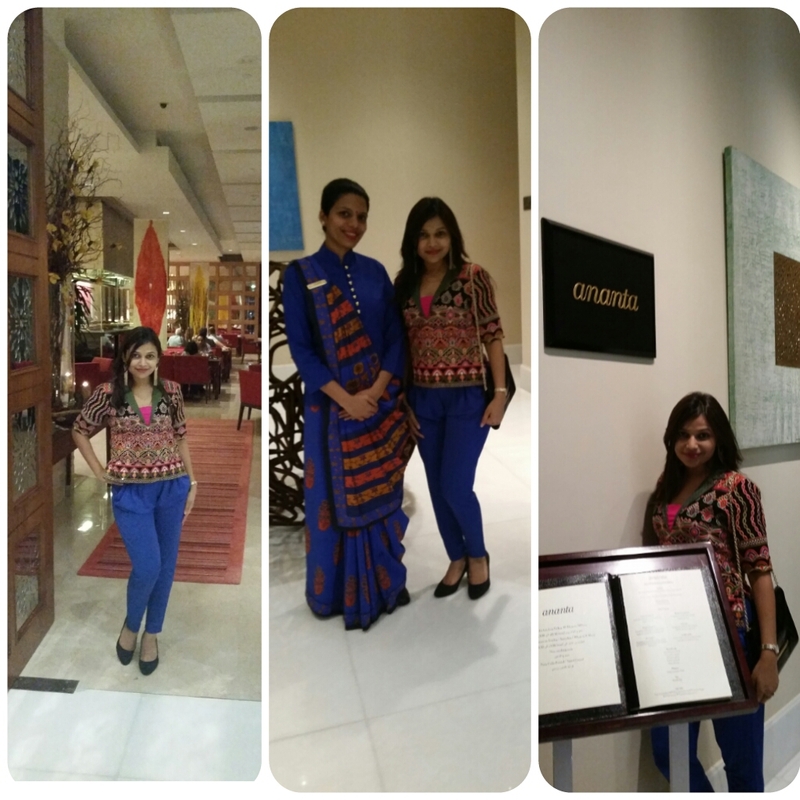 The décor of “Ananta” is beautiful with dramatic crimson furnishings, dim lights and stunning art pieces. The restaurant sets a magnificent show kitchen where guests can watch the master chefs hand craft Indian delicacies in traditional coal-fired clay ovens. 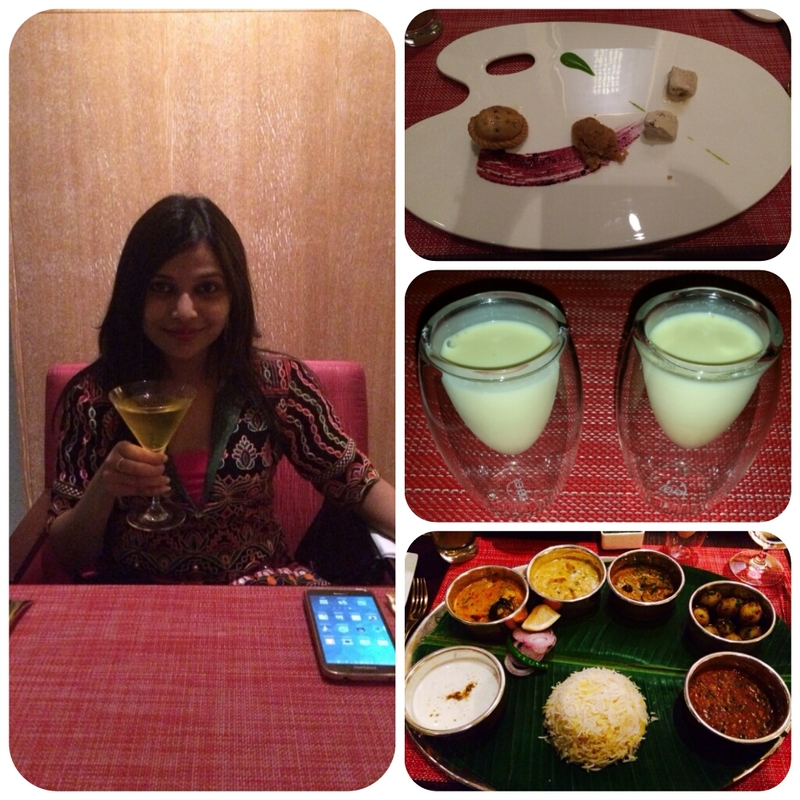 I opted for a Vegetarian Thali which started with a cold shot of Thandai followed by Paneer & Corn starters. 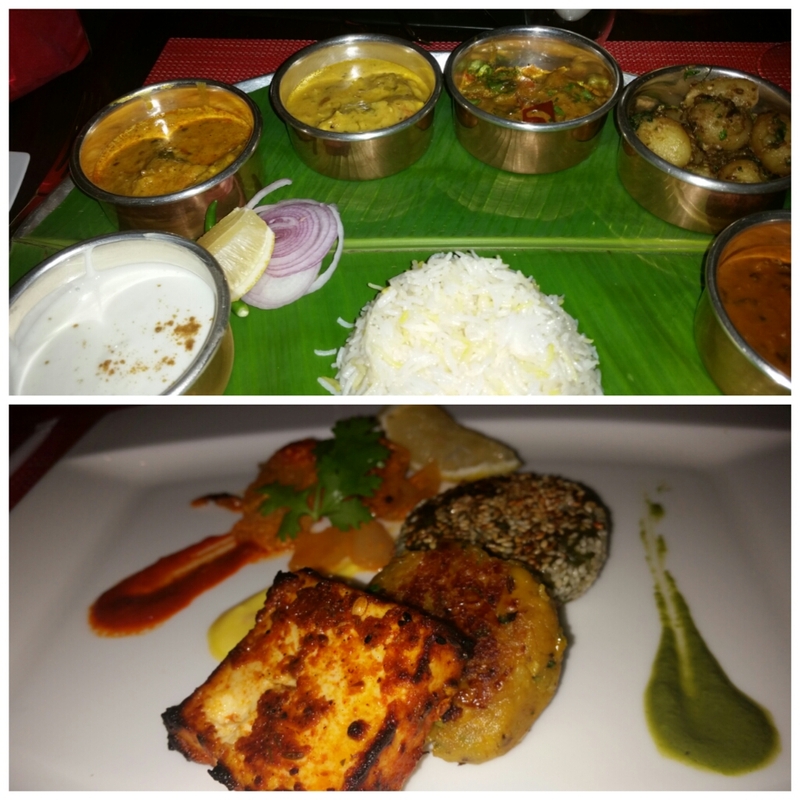 The main course carried the traditional specialty of Rajasthan: Keer Sangri, Papad Paneer along with Dal, Allu , Raita, Rice and Roti. For Dessert: Dal ka halwa, Gulkand Kulfi and Balushai were amazing. You can enjoy the culture and tradition of my princely state at Ananta until the 23rd November 2014. So hurry and book your table now!!! Do leave your feedback and comments about what you think of Ananta and its Food Festival! !